There’s something universal in the appeal of an escape – of finding somewhere to relax and explore your ideas. It’s a feeling which connects together the different parts of Maisha’s debut album. A deep record which provides grist for serious spiritual rumination, the music prompts internal reflection as much as it reflects the surrounds which shaped it. Each of its tracks provokes a feeling of intense revery which is timeless, on the one hand, but realised through a confluence of sounds and circumstances which are undeniably of the present. Its band members, Amané Suganami, Twm Dylan, Tim Doyle, Yahael Camara-Onono, Shirley Tetteh and Nubya Garcia, the latter of whom played a part in shaping the early sound of the band. Spiritual jazz is a tradition that’s leaden with its own traditions, histories and stories. 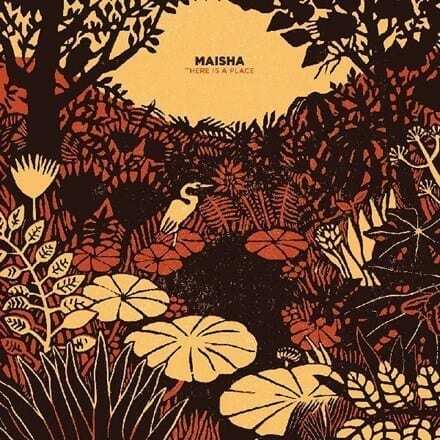 Maisha carve out out their own style through that weight of expectation: they take stock of that history, channeling the greats like Pharoah Sanders, while filtering their own influences – which range from jazz to Afrobeat – through every part of their musical process. It’s a sound which rests on trance-inducing rhythms, instinctive musical interchange and repeated, deeply enriching melodic refrains. It’s a combination which has made for their own singular sound.